Have you seen outside? Spring is coming! I love all season changes but this time of the year is probably my favorite. Exit gray sky, dreary mornings and lack of light, welcome sun, green sprouts and flowers! 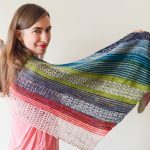 Today, I’m releasing a shawl pattern that is perfect for spring, because it’s a multi color knitting pattern that can be made with as many joyful colors as you want. It is also perfect if you’re doing some spring cleaning in your yarn stash, because it’s a scrap yarn project. 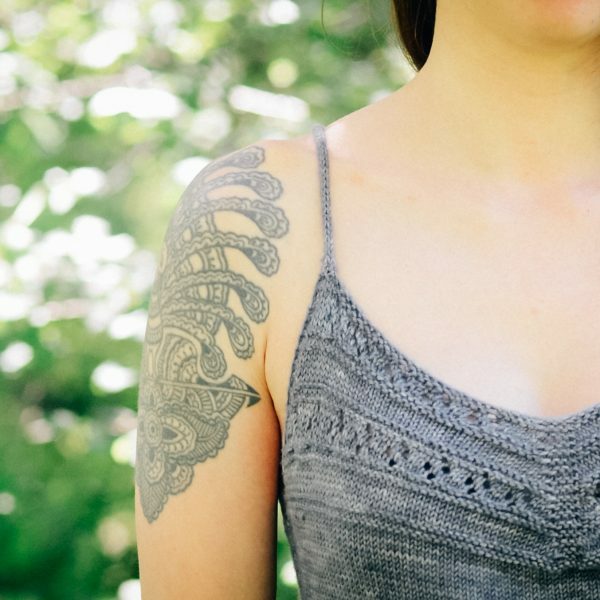 If you’d rather use your prettiest full skeins, the pattern is also offering this possibility. 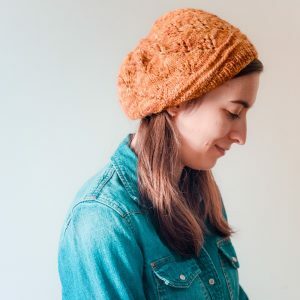 The little balls of leftover yarn, too small to become their own projects, but too pretty to be thrown away, receive a new purpose with this pattern. Pieces of My Heart Shawl is a scrap yarn knitting pattern. 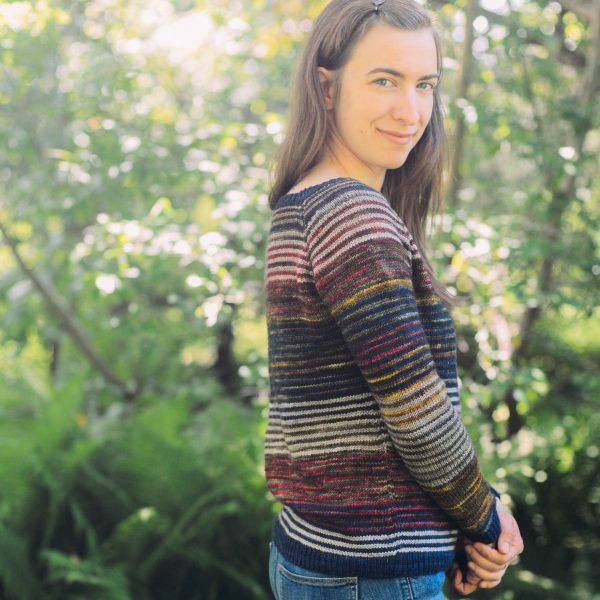 It can be made using only leftover yarns, or with mini skeins, or even with full skeins. 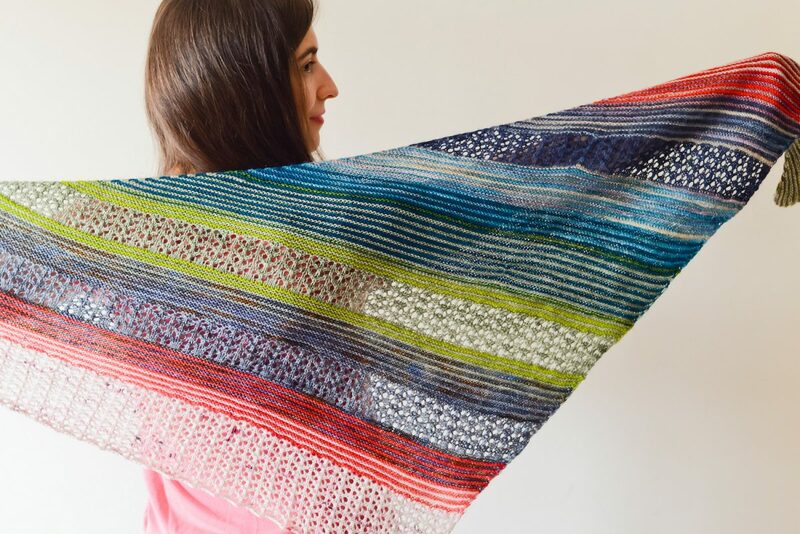 It’s a fun shawl to knit and the result can be as colorful as you desire, as you can use any number of colors, from 2 to 1000! 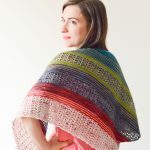 The pattern is fully adaptable so you can create a shawl as long as you want it to be. 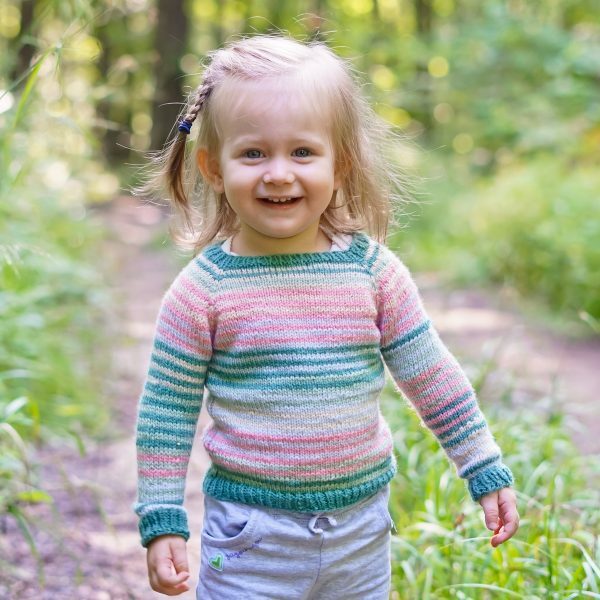 It features stripes of garter stitch and simple lace sections. 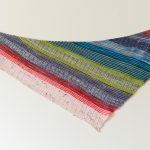 Your creativity will shine as you knit your very own unstructured and unique shawl. I also forgot to write about two patterns I released last month. Actually, they were featured in Yarn Crush March Box. 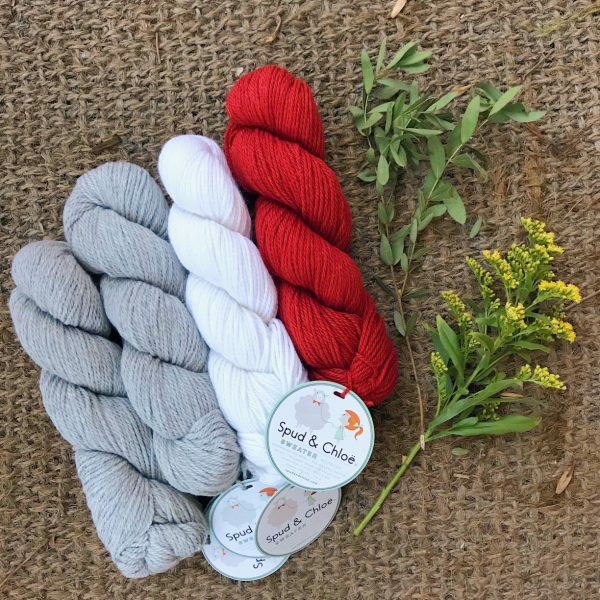 It’s always fun to work with Yarn Crush because they create amazing mystery boxes, full of yarn and goodies! Disclaimer: don’t click on the link if you like mystery boxes… you might not be able to resist this one! 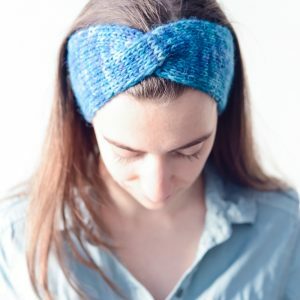 They are simple and fun patterns, and the headband is perfect for beginners!